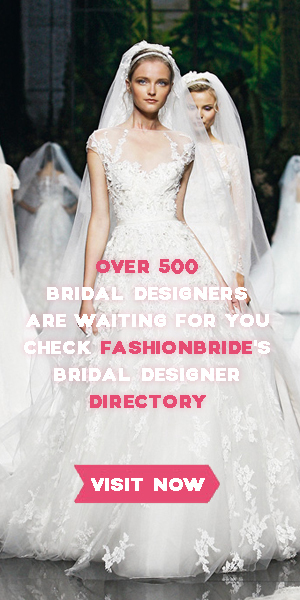 Below you will be able to see the Gorgeous Wedding Gowns by the Israeli fashion designer Asaf Dadush. They are part from his wonderful bridal collection for 2014. According to Asaf, the wedding dress should not only suit the body, but it should also express the bride’s character and soul. It should also provide the maximum comfort for the whole wedding ceremony. This entry was posted on February 6, 2016, 11:23 and is filed under 2015 Collection. You can follow any responses to this entry through RSS 2.0. You can leave a response, or trackback from your own site.